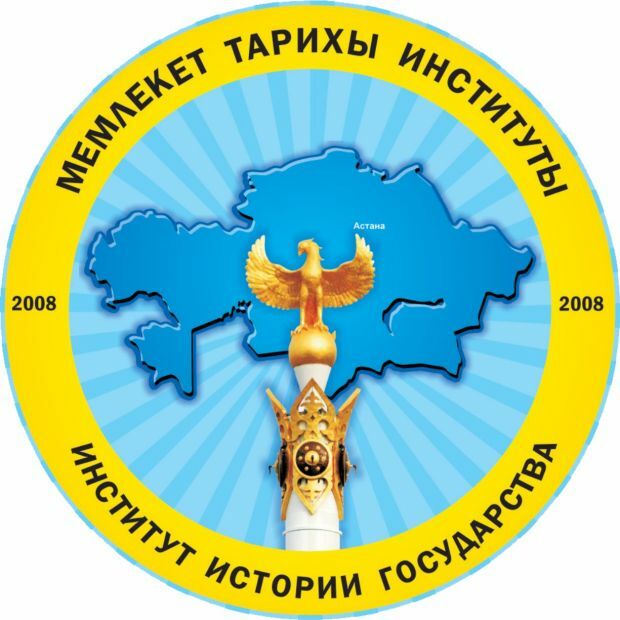 The Institute of State History is an Official Body under the Committee of Science, the Ministry of Education of the Republic of Kazakhstan that was formed by the governmental order № 416 of the Republic of Kazakhstan from May, 5th, 2008. The Director of the Institute is Professor Burkitbai Ayagan, Doctor of History, Academician of the Kazakh Academy of Education of the Republic of Kazakhstan, Academician of Academy of Sociology of the Republic of Kazakhstan, Academician of Academy of History and Social Sciences, Member of National Congress of RK. B.G.Ayagan is known as author of numerous scientific works among that is secondary school and university textbooks, monographs, encyclopedias, popular science editions. The main purpose of the Institute of State History (ISH) is to provide scientifically analytical and expert maintenance to the processes of formation of the state and historical consciousness in the country, creation of theoretical substantiation of the modern state history of Kazakhstan. The Institute of State History has highly professional workforce capacity for achievement its destination. The collective of the Institute distinguish oneself by professional level, some of the Institute members fluent in English, Turkish, and Chinese. At the Present time the Institute has 44 employees engaged in labor activities. Among them are 8 Doctors of Sciences and 11 Candidates of Sciences. The amount of candidates for doctor’s degree is 3, and for master’s degree - 4. Average age of employee of the Institute is 41. There are 5 departments in the structure of The Institute of State History: -	Department of Source Studies, Historiography and National history; -	Department of History of the Industrial and Innovative developments and Ethnosocial processes; -	Department of Eurasianism and Comparative Political Studies; -	Scientific and Informational department; -	Administrative and Finance department. Academic council and Council of Young Scholars function under the Institute. The Institute has modern and well-equipped library. Digital mini typography provides a mean of publishing scientific works of the scholars of the Institute. Strong material and technical basis, which is presented with computers and office equipment of the new generation, creates favorable conditions for scientific activities. In 5 years scientists of the Institute have published more than 60 scientific works. In the list of published works are: textbook “Modern history of Kazakhstan” for unhistorical specialties (Bachelor degree course) of higher educational institutes in Kazakh and Russian languages; Reading-book “Modern history of Kazakhstan” on history of sovereign Kazakhstan in Kazakh and Russian languages; Reference book on political parties of modern Kazakhstan in Kazakh and Russian; Political technologies and terms dictionary; books “Nursultan Nazarbayev – founder of an independent state” in Kazakh, Russian and English languages , and “Nursultan Nazarbayev and Kazakh model of state building (historical perspective)”; Monographs “History of Kazakh Khanate: foundation, rise and decline”, “Truth of famine in 1932-1933” in Kazakh and Russian languages; books from series “Great persons of the Steppe”, “Alimkhan Ermekov”, “Zhumabek Tashenov”. The Institute publishes following periodicals: the socially-informative newspaper “History and Policy», scientific magazine “State History”. At the initiative of the Institute have been created public association “League of Professional Historians and Social Scientists” in April, 28, 2009, and public association “Academy of History and Social Studies” in June, 16, 2009. In 2011 the Institute academics were among the initiators of foundation of the National Congress of historians of Kazakhstan, where professor B.G.Ayagan was elected as vice-chairman. The Institute communicates with leading national and foreign research and analytical centers (USA, France, Holland, Russia, Turkey, Poland, Romania, Ukraine, Uzbekistan, Kyrgyzstan, etc.). At the present cooperation agreements were made with Institute of Archaeology and Ethnography of the Siberian Branch of the Russian Academy of Sciences, the Hoover Achieve on War, Revolution and Piece (USA), The Institute of Ukraine History, Diplomatic Academy of Kyrgyzstan, and with other numerous scholars from above mentioned countries. In 2012 scholars of the Institute of State History became holders of International scholarship of the President of Republic of Kazakhstan “Bolashak”. Professor B.G.Ayagan went through scientific training at Achieves and Libraries of Amsterdam (Holland). Candidate of Philological Sciences M.L.Anafinova went through half-year training at Cambridge University in the Great Britain. Young Scholar of the Institute D.B.Amanzholov is in the one year training at the Academy of National Economy and Public Administration under the President of the Russian Federation in Moscow. Research associate Yerzat Tabys is graduate student at Tsinghua University in Beijing (China). Every year the Institute holds large scientific forums, “Round Tables” on actual problems of modern development of Kazakhstan: Republic and International conferences like “Actual issues of studying the History of Independent Kazakhstan”, “Historical significance of the President’s address to the people of Kazakhstan and priorities of political development”, “Independent Kazakhstan: end of illusion and history of creation”, “Famine in Kazakhstan in 30th of the XXth century: tragedy of the nation and lessons of history”; International Eurasian Congress; First Nazarbayev readings “New Kazakhstan in the new world” and etc. In the 16th September of 2011 collective of the Institute together with The Ministry of Education and Science of the Republic of Kazakhstan and Gumilev Eurasian National University held the I Congress of Historians of Kazakhstan. In the 5th June of 2013 the Institute took active participation in the expanded meeting of Interagency Working Group with the Secretary of State of the The Republic of Kazakhstan M.M.Tazhin on studying national history of the Republic of Kazakhstan. Public association “Republican Association of young historians” was founded with participation of the Institute in Jule, 29, 2013, the purpose of the association is to engage young historians to the process of reformation Historical Science of Kazakhstan. All the events that takes place in the Institute of State History are reflected in the web-side of the Institute (http:// www.history-state.kz), in social networks of its accounts.